"The Brothers Bowing Before Joseph" by artist Stefanie Steinberg, my mother-in-law. Rabbi Stephen Lewis Fuchs was born in East Orange, New Jersey on March 16, 1946. Upon graduating from East Orange High School, he matriculated at and graduated from Hamilton College in Clinton, New York. After five more years and four summers of full-time study, he was ordained as a Rabbi at Hebrew Union College in Cincinnati, Ohio where he earned his MA in Hebrew Letters and a graduate certificate in Jewish Communal Service from the Hebrew Union College branch in Los Angeles, CA. Rabbi Stephen Fuchs and Victoria Steinberg Fuchs, a now-retired elementary school teacher, married on June 9, 1974 in San Francisco, CA. They currently reside in Sanibel Island, FL where Rabbi Fuchs is the spiritual leader at Bat Yam Temple of the Islands. They have three children and five grandchildren. ​While studying at Hamilton and at HUC, Rabbi Fuchs worked as a teaching tennis pro at Spring Garden CC in Florham Park, NJ and at the famed Concord Hotel in the Catskills Mountains. In 1992, Rabbi Fuchs earned a Doctor of Ministry (D.Min.) degree in biblical interpretation from Vanderbilt University Divinity School in Nashville, Tennessee. He received a Doctor of Divinity Degree, Honoris Causa, from the Hebrew Union College—Jewish Institute of Religion in New York in March of 1999. Rabbi Fuchs' pulpit career spanned over forty years. He served as the first full-time rabbi of Temple Isaiah in Columbia, MD for thirteen years. He then served for eleven years as Sr. Rabbi of The Temple, Congregation Ohabai Sholom in Nashville, TN before arriving in West Hartford, CT in 1997 to serve as Senior Rabbi at Congregation Beth Israel, until 2011. In the fall of 2017, he assumed the pulpit of rabbi at Bat Yam Temple of the Islands in Sanibel, Florida. 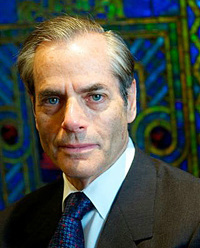 On July, 1, 2011 Rabbi Stephen Fuchs began his appointment as President of the World Union for Progressive Judaism (WUPJ). There, he traveled to over 65 communities on five continents as a proponent of Reform Jewish values and legitimacy. Following the 2012 Days of Awe, Fuchs stepped down as president of the WUPJ at a time he was facing open heart surgery to repair an ascending aortic aneurysm and replace the mechanical aortic valve he received in 1996 with a tissue valve. The Holocaust is a driving force in Rabbi Fuchs' life. His late father, Leo Fuchs, was arrested in Leipzig, Germany on Kristallnacht, November 9, 1938, abused, and sent to the Dachau Prison Camp. Fortunately, there were relatives in the United States who secured his release after a short time, and he came to the USA. There, he met and married Florence Goldstein. They had two children, a daughter Rochelle and a son, (Rabbi) Stephen Lewis Fuchs. In 2003, Rabbi Fuchs was the first recipient of the first annual Judaic Heritage Award from Charter Oak Cultural Center. In 2011, he was the only Caucasian of the eleven recipients who received the Unlimited Love Humanitarian Award from Bethel AME Church. Rabbi Fuchs held the position of Clergy Co-Chair of the Interfaith Fellowship for Universal Health Care. 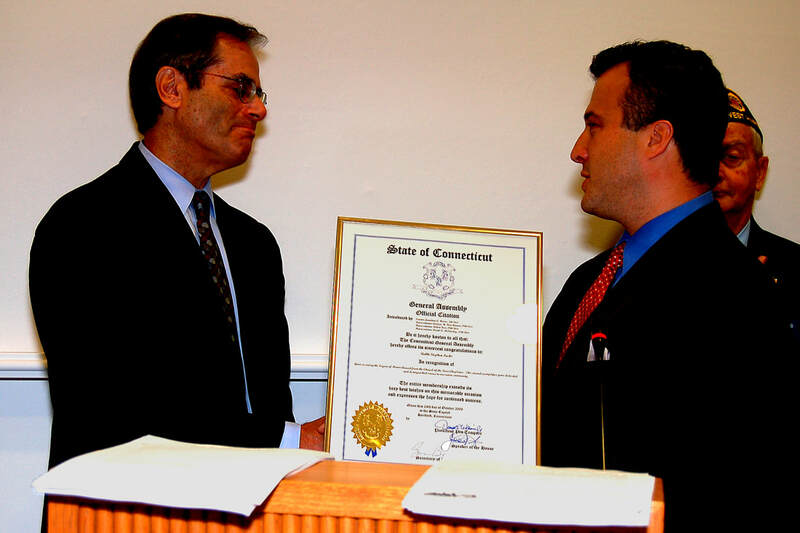 The IFUHC played a pivotal role in the passage of SustiNeT, Connecticut’s Universal Health Care Initiative, which passed the Public Health Committee on March 26, 2009. In October 26, 2014, Rabbi Fuchs accepted the gracious invitation of Pastorin Martina Dittkrist and became the first rabbi ever to give a sermon in The Michaelis-Kirche in Kaltenkirchen a charming and picturesque village that was also, ironically, the site of a former concentration camp. The church's former pastor left clerical life to become a Nazi oberkommando who was tried and convicted of atrocities at the Nuremberg tribunal. Rabbi Fuchs’ sermon was received as a gesture of forgiveness to the church and acknowledgement of its atonement. On November 6, 2015, Rabbi Fuchs conducted the first Jewish service in the city of Friedrichstadt, Germany, since Kristallnacht. Special thanks to Rita and Horst Blunk and Dr. Keren-Miriam Haedicke, whose extraordinary efforts made these historic events possible. Rabbi Fuchs accepted an invitation from the bishop of Aachen, Germany, Heinrich Mussinghoff, to deliver a lecture about his book at the Bishop’s Academy in that city on October 27, 2015. It was the fiftieth anniversary of the Nostra Aetate at which the Catholic Church officially absolved Jews of responsibility for Jesus’ death — a milestone for Catholic-Jewish relations. During his tenure at Congregation Beth Israel, Rabbi Fuchs was particularly pleased with the launch and overwhelming success of the temple’s Yom Kippur Food Drive, one of the largest of its kind in the United States. Upon his retirement from the pulpit at Congregation Beth Israel in West Hartford, FOODSHARE instituted and designated a food-transportation fund in Rabbi Fuchs’ name in honor and recognition of his tireless efforts to end hunger in the state of Connecticut. As a Rabbi Emeritus, Fuchs continues to play an active role at CBI by filling-in for vacationing rabbis and leading Saturday morning Torah study and occasional Shabbat services. When he is not busy with book signings, speaking engagements, or other scholarly duties, Rabbi Fuchs is an avid blogger. He also enjoys crossword puzzles, playing tennis, doo-wop music, and spending time with family and friends. This past fall, Rabbi Fuchs assumed the position of rabbi at Bat Yam Temple of the Islands in Sanibel, Florida. The official installation took place on January 5, 2018 at the Sanibel UCC, located at 2050 Periwinkle Way in Sanibel Island, FL.